Your search: Car park close to "Opéra"
To reach Opéra from this car park, take metro line 9 at Maraîchers towards Pont de Sèvres and get off at Chaussée d'Antin (La Fayette). The Opéra district is located in central Paris, at the intersection of several major boulevards and avenues. It is home a vast array of company head offices, restaurants, bars, theatres and cinemas, and is close to the Haussmann district with its vast stores. The famous Place de l'Opéra is situated at the end of Avenue de l'Opéra, which runs between the Louvre and the Opéra de Paris. Boulevard des Capucines and Rue Auber also pass through the district, the latter leading to Gare Saint-Lazare, as well as Rue de la Paix and Rue du Quatre-Septembre, which runs directly to Place de la Bourse. Its central metro station is connected via underground passageways to the Auber RER station and, indirectly, to Havre-Caumartin station and its nearby major stores. The Opéra district is therefore surrounded by museums, shops, luxury stores, businesses, banks and travel agencies. It attracts many Parisians, night owls and tourists on a daily basis. It has a constant stream of car and delivery vehicle traffic. 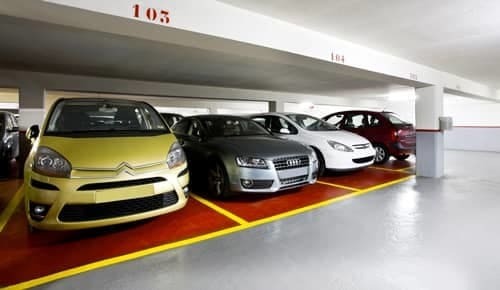 Parking in the district is therefore a real battle, with the few authorised parking spaces available snapped up from early in the morning and the majority of parking spaces in the district reserved for delivery vehicles, buses, taxis and tourist coaches. 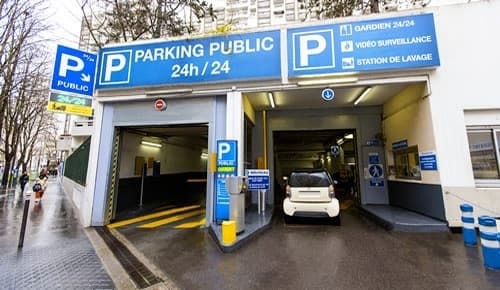 The ideal, least expensive solution is to leave your vehicle at the Pyrénées-du-Clos car park, from where you can go directly to Opéra station by metro (line 9) in under 30 minutes. 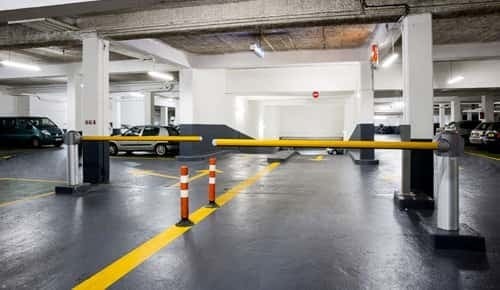 Choosing this car park will significantly reduce your parking costs. Park close to Paris' tourist attractions with Paris France Parking. We offer a car park close to Opéra Garnier. 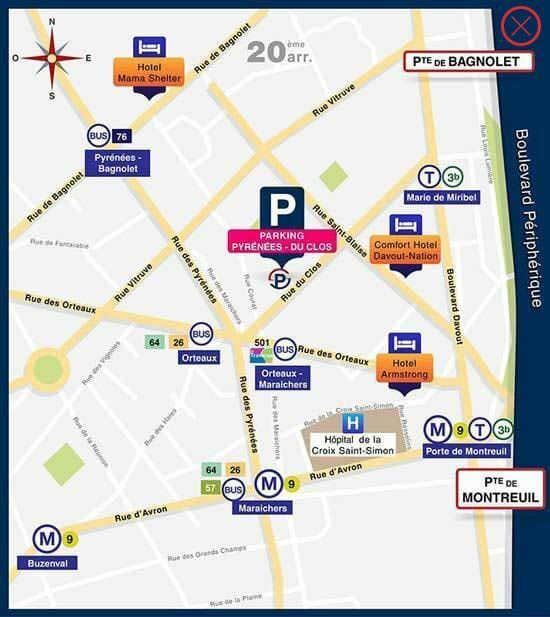 If you prefer to avoid driving in central Paris, we also have park-and-ride car parks located near metro stations and bus and tram stops. We also operate car parks close to Paris' stadiums: Stade de France and Palais Omnisports de Paris-Bercy.Contact us for more information or to book your space.